6. Emerging infectious disease jumping from livestock to humans is now a near-regular occurrence, with new and weird diseases that threaten to become human pandemics and mutating with alarming speed popping up everywhere. 7. Your over-population is so bad that you’ve implemented a nation-wide policy (operating already for decades) that has limited the number of children a couple can legally bring into the world. Any guesses where I’ve been this last week? Admittedly, the first four could have placed me in any number of places, but the last one is a dead give-away – I’m currently in China. 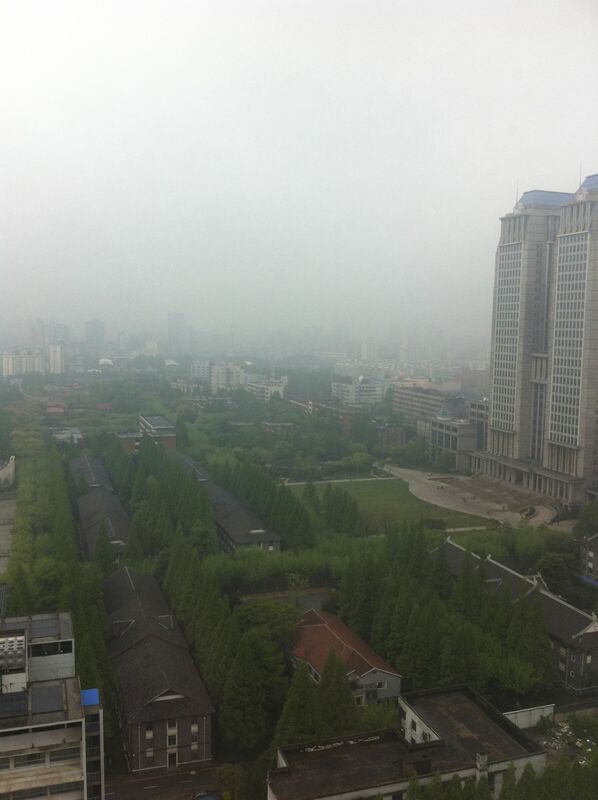 A ‘good day’ for Shanghai’s air pollution. Don’t get me wrong – I’m not writing this post to bag the country or people that have hosted me so graciously this past week. I’ve been extremely fortunate to have been invited to the prestigious Fudan and Sun Yat-sen Universities (in Shanghai and Guangzhou, respectively) on a rather generous Fudan-sponsored fellowship. Working firstly with Professor Shurong Zhou and her wonderful lab at Fudan, I’ve had a great week of science (some of which we’ve already published), food and conversation (if not halted at times – my Mandarin is shockingly bad). Today I’ve just arrived in Guangzhou to spend the last few days of my journey with Fangliang He at Sun Yat-sen (see also a previous post about my last trip here). My wonderful hosts aside, I’m writing this post as a reminder to countries that aspire to emulate the Chinese experiment – you don’t want to go there. 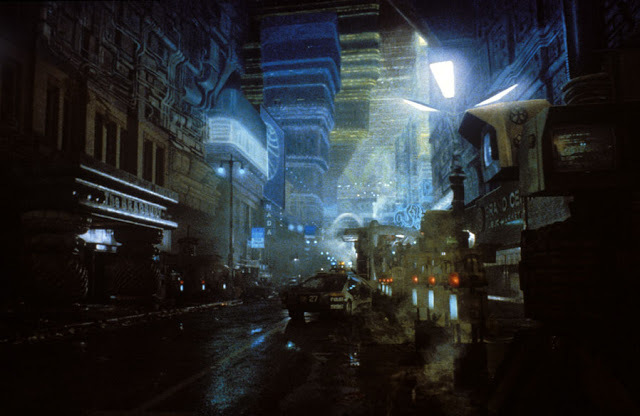 If you haven’t been to China, you might not really get what I mean – but if you’ve seen the classic film ‘Bladerunner’, you might get an inkling of what to expect if our governments (elected by us) don’t fully embrace clean technologies and implement long-term plans to limit population growth. To China’s credit, they have realised at least some of their past errors and are doing rather a lot to reduce air pollution via the mass construction of nuclear power plants and renewable energy sources, they are now planting trees by the millions (although someone should tell them to talk to an ecologist now and then), and of course, they’ve been remarkably successful, if not questionably moral, about limiting human population growth. But China is a massive, 1.3 billion-strong reminder of what we don’t want to become. I find it scary, after reading your post, that so many African countries (I am referring to South Africa in particular) still see China as a role-model for economic development. Rarely does a month pass without a team of South African politicians doing a reconnaissance visit to China to see how the latest infrastructure development “should” be done.